External simulation engines are supported in two ways. 1) Direct GUI interfaces are provided for GROMACS and LAMMPS and TOWHEE. The following example shows a dialog for launching background jobs. 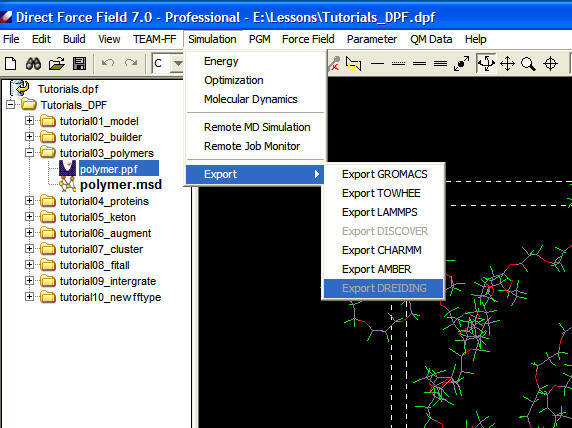 2) Export structure and parameter files for AMBER, CHARMM, CFF file formats so that many simulation engines can be used. The following screenshot shows the interface of export functionality.